To his children, Jim Smith is Captain Fantastic, a hero who can sort out the Universe and still be home in time for tea. Ever since they can remember he’s read them tales from his Book of Adventures, of exploits with Super Hero, Alien and Automaton – and his never-ending battle with Captain Death. But, lately, Jim hasn’t been going out much and Captain Fantastic doesn’t get talked about anymore. Now, on Christmas Eve, Jim is more like Captain Miserable and things are shaping up for the worst Christmas ever. 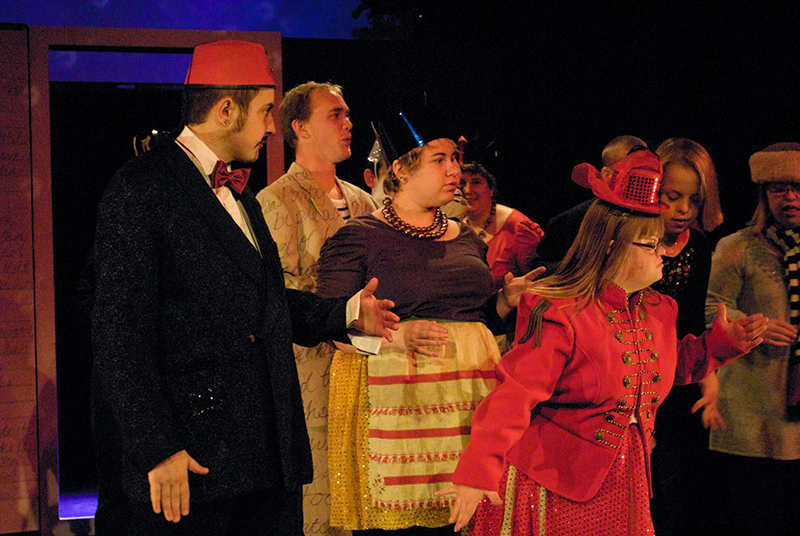 Following the enormous success of last year’s ‘A Blue Apple Christmas Carol’, the company return with a brand new festive delight. 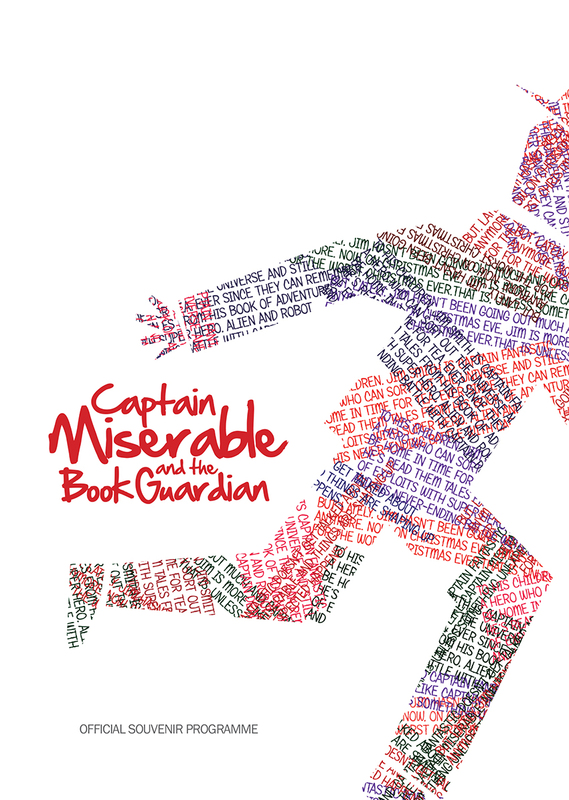 Written by Will Jessop, directed by Peter Clerke, designed by Su Houser with choreography by Jo Harris (all fresh from the company’s recent Midsummer Night’s Dream) Captain Miserable is an epic tale of adventure, danger and surprising revelations. 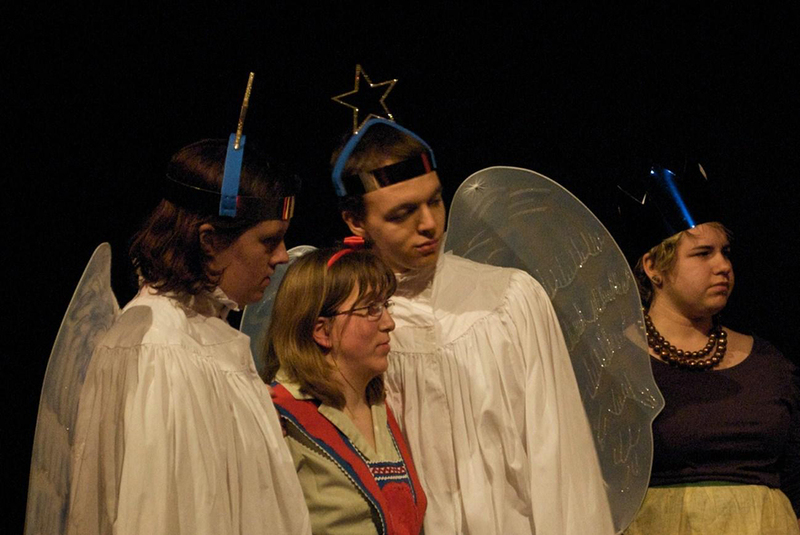 Featuring the remarkable talents of Blue Apple’s full company this is truly where Christmas begins. Working, or adapting, from an extant text/storyline, has its own particular problems. But, generally, you are working with something that has been tried and tested, to some extent, by others. With Captain Miserable we decided to start from nothing. We’ve tried to create something that sits within the tradition of a ‘Christmas show’; something that celebrates the values of community and understanding that intrinsically defines our humanity; something that reflects both the passing of the old and the coming of the new. It’s a wonderful thing with Blue Apple, where the excitement of the challenge always outweighs the risk of potential failure. There is an incredibly courageous atmosphere within the whole company, with people prepared to put themselves on the line and take risks that many, many other people would not dare to take. It has been a great pleasure to work with each and every one of Blue Apple in creating this show. I very much hope that you enjoy it; and that it is the start of a very happy and joyous celebration of Christmas and the beginning of a New Year. Inside 7th Heaven - Alice, Amy, Andrew, Andy, Chris, Clare, Daniel, Elena, Emma, James B., James E., James S., Jason, Jerome, Jocey, Katie, Lisa, Lucy, Neil, Polly, Shane, Simon, Susan, Terry. 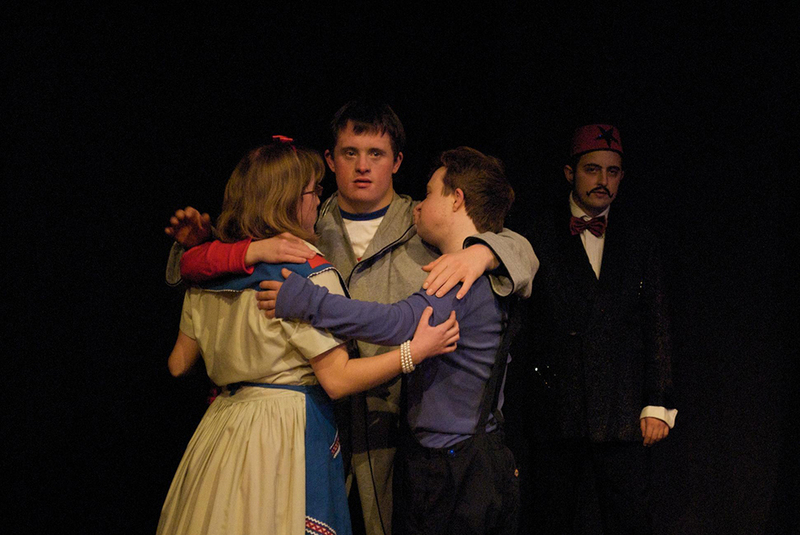 The Dance of Captain Miserable’s Wild and Disordered Imagination - James E., Katie, Lawrie, Shane, Tommy.